During my 17 years as a smoker, I’ve tried many times to quit. Like most of us, it ain’t an easy task, even more so that I really enjoyed smoking. Smoking cigars, shisha, cigarettes all the time, I really thought it would be impossible to one day quit everything. Then one day, a butcher at my workplace introduced me to vaping. A longtime friend, he convinced me to try and my girlfriend bought my first kit back then. I knew right away from the first draw : I knew the real power of this device against tobacco, and let me tell you I quit right away. A few weeks later I was already building my first box mod, doing Youtube reviews to help others make the switch. Months went by as I continued vlogging (Facebook, Youtube, etc.). By the end of 2014 I looked into making my own e-liquids, armed with 15 years of experience working with food and ingredients. 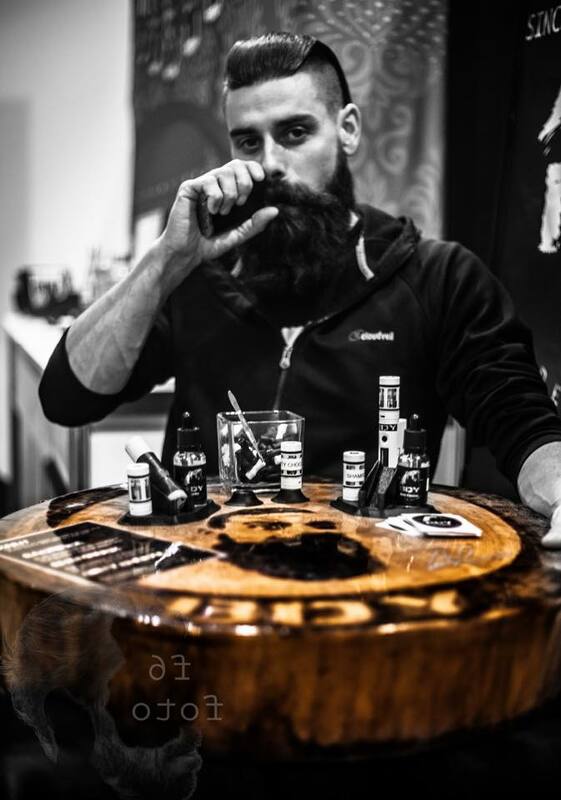 My only aim was to bring a fresh perspective to the art of e-liquids, and my adventure began in November 2015 with my very own collection. Since then, I pour all of my passion in little glass bottles.